Facebook now has more than 1.5 Billion active users per month. With so many people voluntarily adding their likes, interests, and personal information to their Facebook profile, businesses and marketers are left with a sea of opportunity to target their ideal clients and customers with Facebook ads, based on user-provided data. Whether you think this is creepy or cool– it’s happening. And if you own your own business, it would be foolish NOT use this information to your benefit. Photographers running their own business are no exception. As you can imagine, you can use Facebook ads to target users based on their location, gender, age, and interests, which is in itself quite useful– but Facebook ad targeting goes so much further than that. 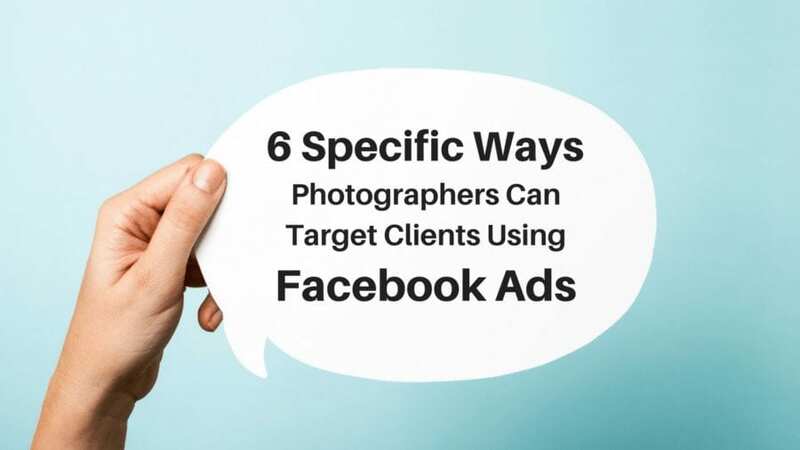 The following are 6 specific ways photographers can target clients for their business using Facebook ads. Since many Facebook users have a tendency to add important dates, like their wedding anniversary, to their profile, you can filter your ad’s target audience by people with an upcoming anniversary. This would be a good way to advertise specific photo shoot opportunities for couples looking to capture photos in remembrance of their special day. Facebook allows you to target people with an anniversary within 30,60, or 90 days. Similar to #1 above, you can use people’s relationship status to target them for an engagement photo session. 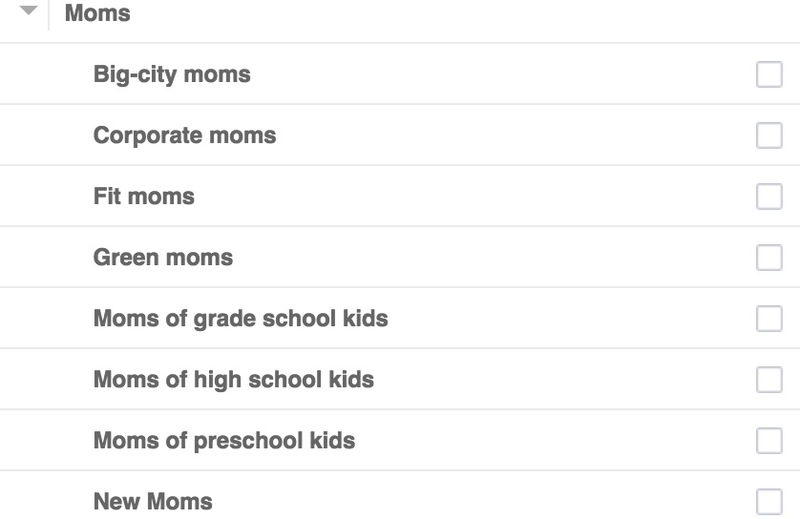 You can get even more specific than just current relationship status and add a filter to seek out users who got engaged within the last 3 months, 6 months, and 1 year. Remember that it’s hard to sell a high-priced item, like a wedding shoot, to a brand new audience, so you may want to warm people up with a lower-priced session, like an engagement shoot, first. Newborn and portrait photographers can set their Facebook ads to target new parents or families for photo sessions. 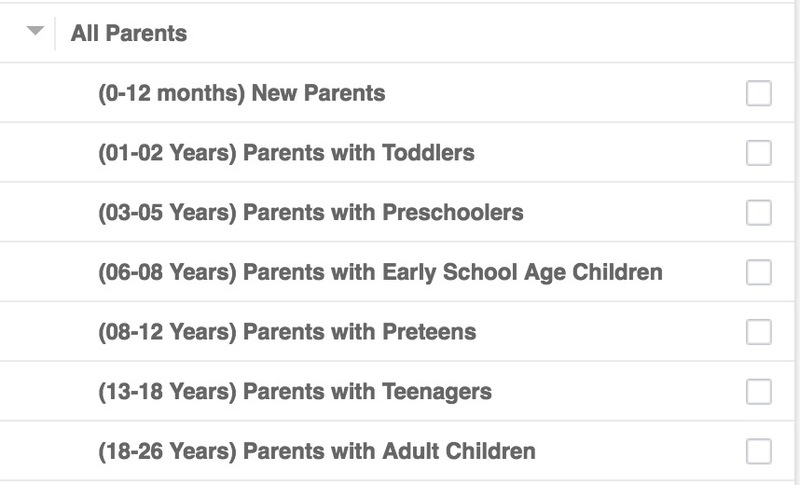 Facebook filters include everything from expectant parents to parents with adult children. If you specialize in high school senior portraits, you might want to try targeting parents with teenagers. If you have a Facebook page for your photography business, you can try targeting friends of people who have liked your page, since they are more likely to respond to your ad if they know someone who’s engaged with your page. To apply this filter you would use the “Connections” section in the Ads manager creator instead of the “Detailed Targeting” section. Just like you can use Facebook ads to target specific clients, you can also exclude certain people from seeing your ads so you don’t waste money showing them to people who are least likely to book your photography services. For example, you may want to exclude other local photographers from seeing your ads, or exclude people who like your page since they are already likely to book you, as shown in the image above. Retargeting an audience can be very effective since the audience is already familiar with your site. You can create a remarketing ad by clicking “create new” under the custom audience box and selecting “Custom Audience.” From there you would choose “Website Traffic” to target people who’ve either visited your site before or completed certain actions on your website in the past (note that you’ll need to have installed a Facebook Pixel on each page of your website that you want tracked in order to get this data). Next, you’ll have to choose which website visitors you want to target, for example, people who’ve visited certain pages of your site or spent a certain amount of time on your website, etc. 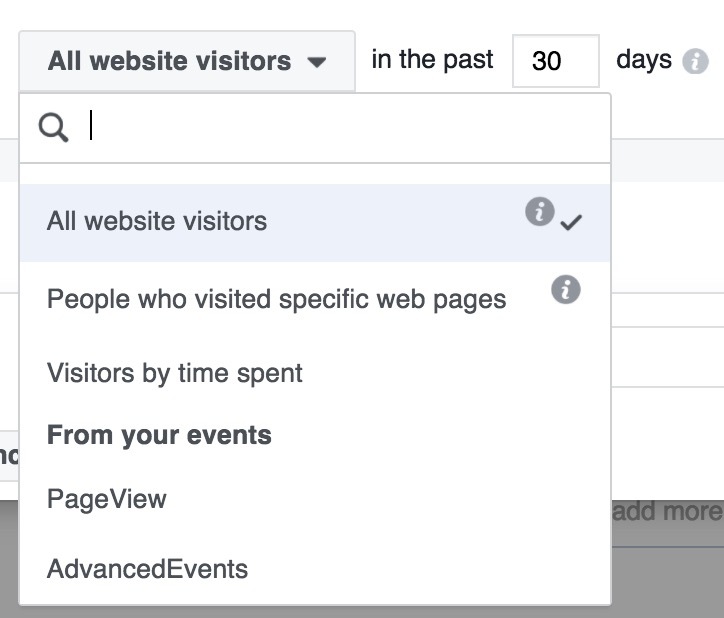 Then you can specify the time frame by targeting visitors from the past 1-180 days. Targeting photography clients on Facebook can be tricky, but when you know what filters to apply, the task becomes easier. Creating targeted ads with precision not only increases the chances of finding new clients, it also tends to keep your ad cost down because ads that are most relevant to your audience are cheaper to run. The truth is, there are many ways to create an ideal target audience for your Facebook ad and you’ll have to change your audience frequently to match the service you’re advertising. 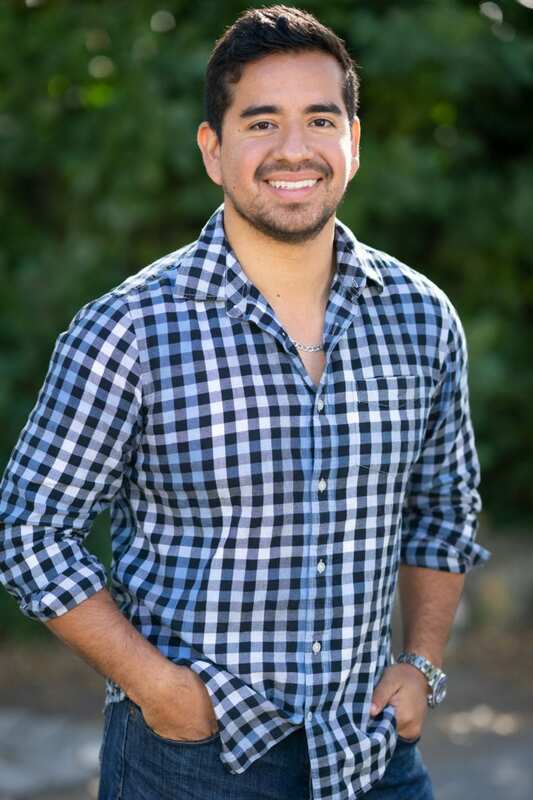 The good thing is that if you find an audience that works well, you can save it and then later create a “Lookalike Audience” that will target people with similar demographics who are also likely to hire you as their photographer. Don’t be afraid to create several different audiences to test out your ads and see what works best. In general, it’s a good idea to keep your audience between 7,000 and 14,000. The good thing about Facebook ads is you can figure out pretty quickly which ads are performing best and which are failing, so feel free to try out different targeting techniques without the fear of wasting a lot of ad spend. If you want help optimizing your photography website so that it converts better when you start running your Facebook ads, contact Sweet SEO for a free audit.